In 2013, Steve Albrezzi’s indy feature Commencement premiered at the Heartland Film Festival. It has subsequently garnered numerous awards including the Spirit Award at the prestigious Cinetopia International Film Festival (45 curated features from Sundance, Toronto, SxSW, Venice, etc.) and the Audience Award for Best Feature and Best Actress for Marin Hinkle at the Charleston International Film Festival. Steve’s career began as a resident new play director for the internationally acclaimed Actor’s Theater of Louisville. In his long tenure there, he mounted several world premieres including Groves of Academe starring Chris Cooper and In Darkest America by Joyce Carol Oates. For the USIA, he directed the culminating event for The American Theater Exhibit in Budapest, Hungary. His production of Talking With by Jane Martin represented ATL in The International Festival of Australia. As an Artistic Associate for LA Theater Works, Mr. Albrezzi recorded David Henry Hwang’s M Butterfly with John Lithgow, B. D. Wong and Margaret Cho; Athol Fugard’s The Road to Mecca with Julie Harris, Amy Irving and Harris Yulin; Ingmar Bergman’s adaptation of Ibsen’s The Doll’s House, with Robert Foxworth. For the BBC and NEA, Mr. Albrezzi co-adapted and directed Ruby McCollum with a cast of 56 including James Morrison, Jean Smart, Kurtwood Smith and Loretta Devine. 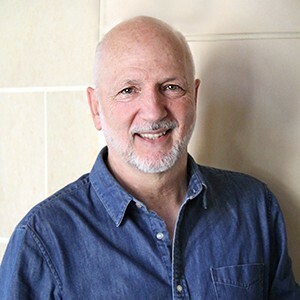 Steve’s short film Fantasy in D Minor, garnered the Best Director Award at Worldfest Houston and Best of the Fest at Santa Barbara Film Festival. His co-adaptation of Joyce Carol Oates’ play The Eclipse won Best Screen Adaptation at Charleston International Film Festival and was subsequently optioned by Goldie Hawn’s Cosmic Entertainment and Alliance Atlantis as a Special Event Movie for CBS. Mr. Albrezzi directed three seasons of 'It's A Miracle' for NBC/PAX TV. His directing work has also been featured as the spirit segment on The Oprah Winfrey Show and on The PBS series Reading Rockets - Reading and the Brain with Henry Winkler. Steve’s 2007 documentary Reel Lives, about his foundation project created for underserved youth, was the featured video installment at Benjamin Barber’s Interdependence Day in Mexico City. Mr. Albrezzi’s work has been recognized with several national and international awards. He is a member of the Directors Guild of America and the directing faculty at USC School of Cinematic Arts.